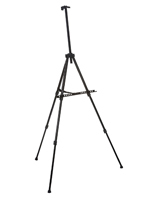 Field Easels with Collapsible Tripod Designs are Any Artist's Dream! 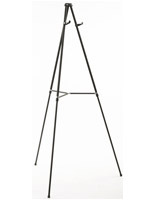 Whether you're a caricature artist working on a sunny boardwalk or you're a landscape painter on location, a field easel is the perfect solution for painting outdoors. 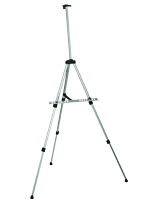 The folding assembly of each of these tripod stands makes it easy to pack up and move on to the next destination in a matter of moments. 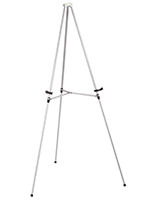 The collapsible design breaks down quickly and is conveniently sized to fit in small bags, like a backpack or an artist tote. 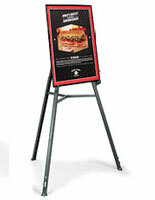 This way, getting set up or breaking down for the day is a cinch. 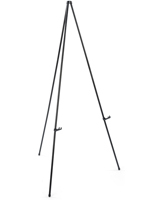 Additionally, the lightweight design gives your back a break when you're on the move. 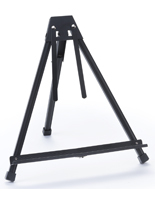 Even though each of these models has a compact size, no important features or functionality is sacrificed! 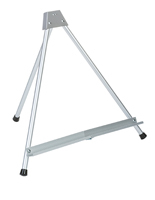 Most of our field easels are made from aluminum or wood, which is why they are so lightweight but it also ensures that they are durable and will last for years of repeated use. 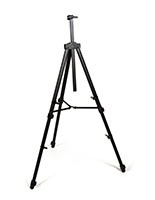 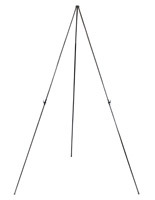 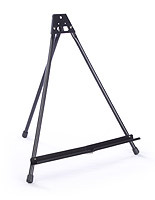 The 3-legged tripod design provides a sturdy workstation for any kind of artwork. 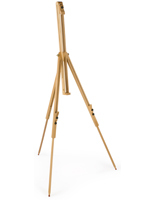 In fact, field easels are so practical that even traveling business professionals, like sales representatives, frequently use them to pitch their products rather than for art. 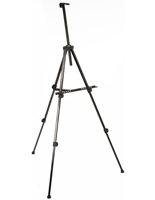 No matter what "field" you're in, one of these portable tripods is certain to make life easier!